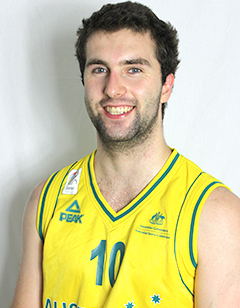 Not unfamiliar with the Paralympic Games – having competed at two Paralympic Games in swimming – Auprince’s focus has turned to wheelchair basketball, getting his first taste of international competition as part of the Australian Spinners team that won bronze at the 2013 IWBF Under 23 World Championships. Despite being new to the game, Auprince was seen as a future star of the Australian Rollers program and returned to bulk up their front court stocks when the national team qualified for the 2018 World Championships with a gold medal at the AOZ Qualifiers, scoring six points in the final. He proved his importance to the side later that year, making the final team to compete at the 2018 World Championships in Hamburg, Germany when the Rollers attempted to claim a third consecutive title.